Creamy shrimp salad. Crunchy mini fillo shells. Five ingredients. BOOM. That’s what I’ve got for ya today. I would be remiss if I didn’t talk real quick about the weather here in Minnesota because, well, that’s what we Midwestern folk do — we talk about the brutal winters and the sweltering summers, and how we are just about ready to move out of here to somewhere warmer where we don’t have to dig our cars out of piles of snow and ice or crank up the air conditioning when the sun is ablaze. But most of us never do. We stay put, right in our beloved, weather-crazy land. Since I’ve been born and raised in the Midwest, I know a thing or two about how to cope with the seasons, especially when it comes to food (as most things do in my life). In the winter, I keep myself warm with big bowls of soup and mugs of strong coffee and hot cocoa. In the summer, I keep myself cool with big fresh salads and plates piled high with chopped fruit. Yet no matter the season, I want it all to be easy and stress-free. Wherever you’re from, I’m sure you agree. 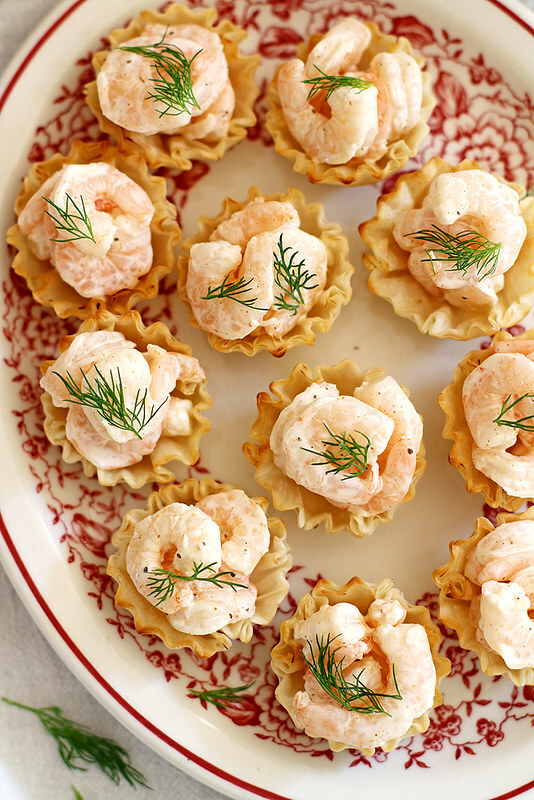 So what does the weather have to do with these shrimp salad bites? To me, they are perfect for any season or occasion. Just five simple ingredients come together in this appetizer that is easy, quick, cool, creamy, crunchy, crispy and even a little indulgent. Those five ingredients are as follows: Salad shrimp, mayonnaise, seafood seasoning, fresh dill and Athens Foods‘ mini fillo shells. Combined, they make for one serious bite o’ yumminess that can be enjoyed every day of the year. Of course, I don’t really want to be thinking about winter right now, so I’m imagining myself making these as a fun and quick appetizer or snack for summery lake days, picnics and potlucks, or dinners with my husband on the deck in our backyard while he grills and I supervise our beer or wine glasses at the patio table. 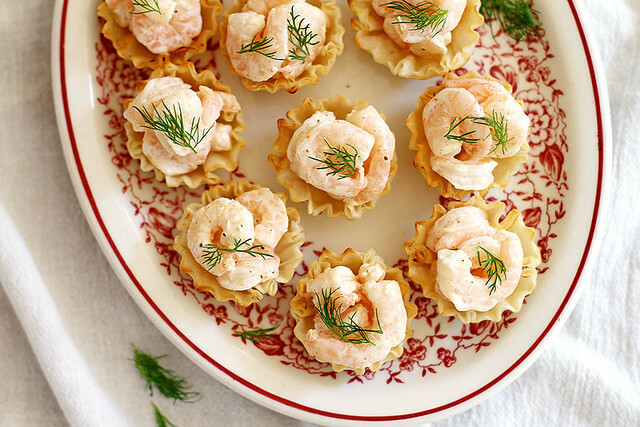 And munch on a bajillion of these shrimpy bites, naturally. Now I know not all of us are fans of the mayo, and that’s fine — I bet these would be just as tasty with the mayo swapped for Greek yogurt or even olive oil. And if you can’t find those teeny tiny salad shrimp at your grocery store, you can use regular shrimp and just chop it up into smaller pieces. 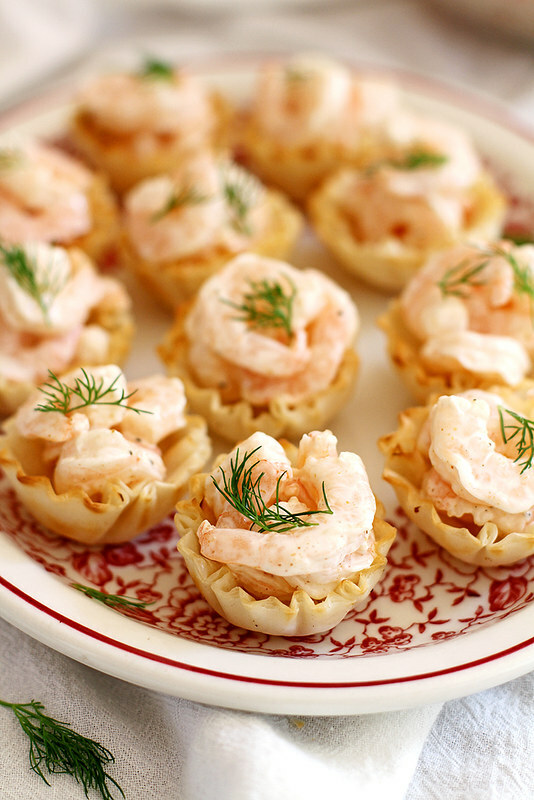 And finally, if you’re planning to make these ahead of time, it’s best to keep the shrimp salad mixture in a separate bowl and spoon it into the mini fillo shells just before serving so they maintain their fantastic crunch. If you have any extra shrimp salad left over, I happen to know from experience that it makes a mighty fine sandwich. Rain or shine, snow or sun, this easy shrimp app is a keeper. P.S. In other news, I was recently interviewed by Foody Direct as part of their Expert Interview program. Click here to read the interview and let me know what you think! 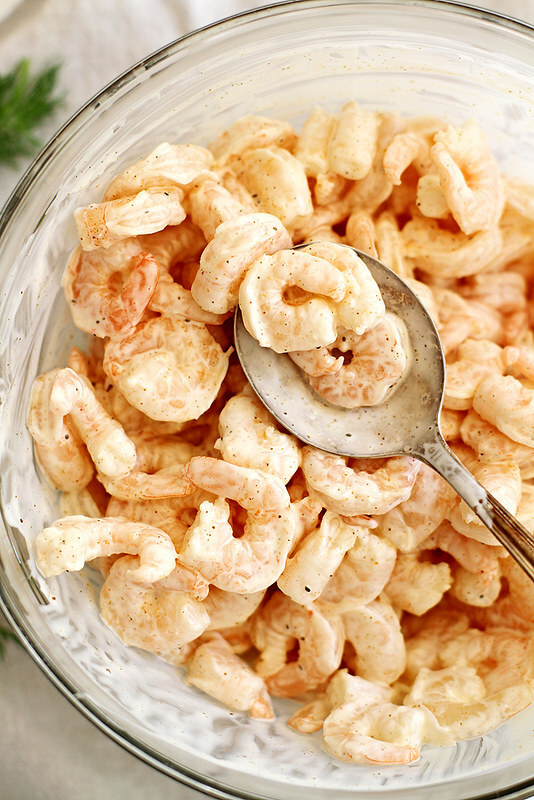 In a small bowl, stir together shrimp, mayonnaise and seafood seasoning until combined. Spoon mixture into 30 mini fillo shells. 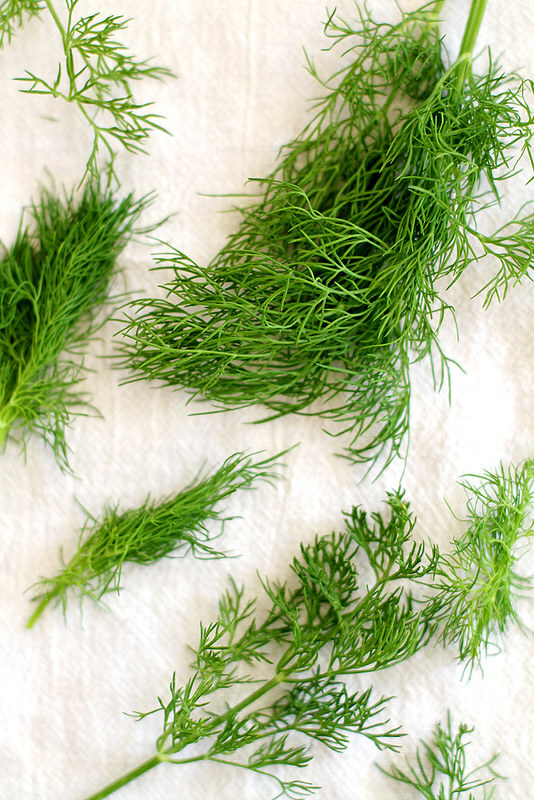 Garnish each with a small sprig of dill. Serve immediately. Disclosure: I received compensation from Athens Foods for recipe development purposes. All opinions are my own. EVERYTHING about these is perfection to me. Appetizer? I want them for my main dish! These shrimp bites look so yummy! And I agree, stress-free cooking and baking is always the way to go! By the way … since we are Midwesterners who talk about weather, can we talk about how it goes from being 94 one day to being 61 two days later? Ca-rayyyy-zeeee. Hahha the weather is every Minnesotan’s talk lol! Yet, it does not make people move. Those of us who left want to come back so badly!! Love these shrimp bites and I agree with you, everything about this screams summer! These shrimp bites are seriously beyond perfect for entertaining!! Oh this sounds divine. I adore shrimp salad and love the idea of making a shrimp salad appetizer! 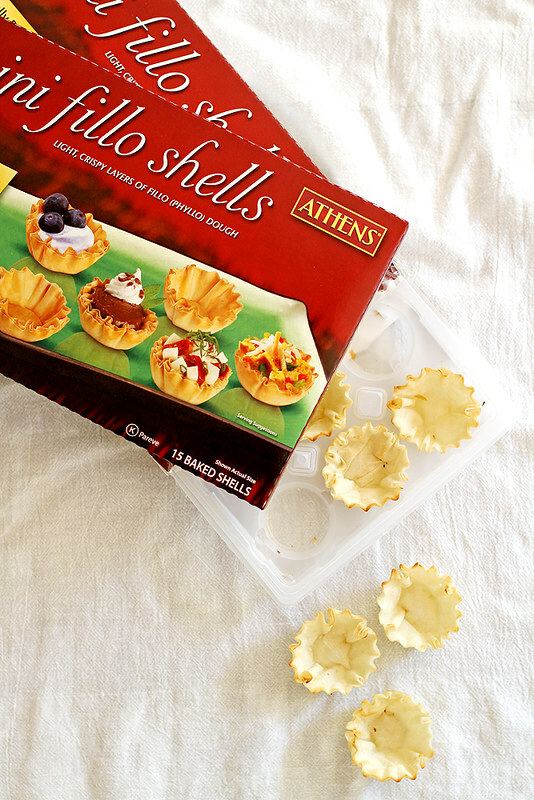 I always keep a few boxes of the fillo shells in the freezer for easy entertaining! This is such a cool idea for parties, I will definitely make them, as a shrimp obsessed person, I can’t wait to give these a try. Very nice snack! They look so elegant! OK … so it’s take me a while to read all your interview, not because I’m not interessed or because I’m at work (noooo of course not) but simply because I’m French and slow maybe. But just for you know, I think your interview are amazing, and if I’m not a follower who discovered bread because of you I certainly discovered a blog which give me wants to subscribe to a newsletter (for the first time) to not missed one of your article. Thanks and as always your recipe seems delicious. 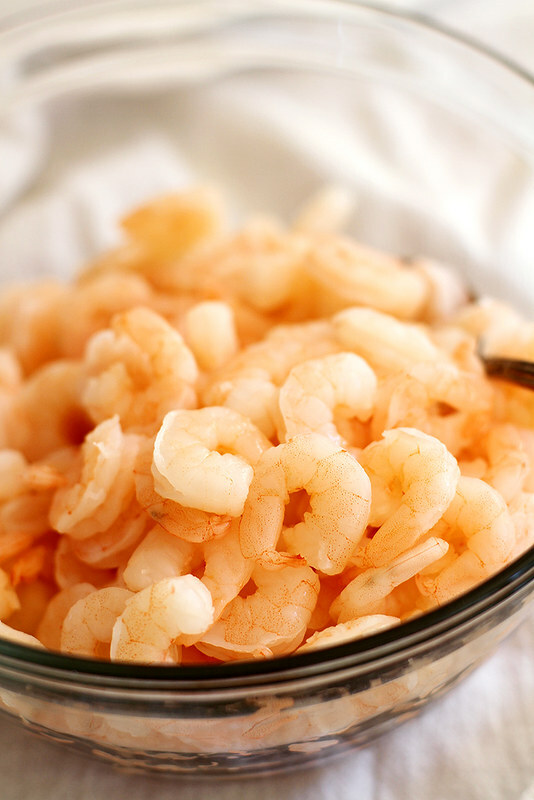 People really appreciate it when you bring a nice protein to the party and shrimp is usually a huge hit. Phyllo cups are a no-brainer and I forget how great and easy they are as long as you don’t mind turning on the oven in summer! I could seriously devour the entire platter myself. Shrimp salad is my jam! Right now, I’m all about recipe that require minimal effort. Love this dish! Pinned. I could eat shrimp all year round and never tire of it. This recipe looks perfect for a movie night with my best friends.